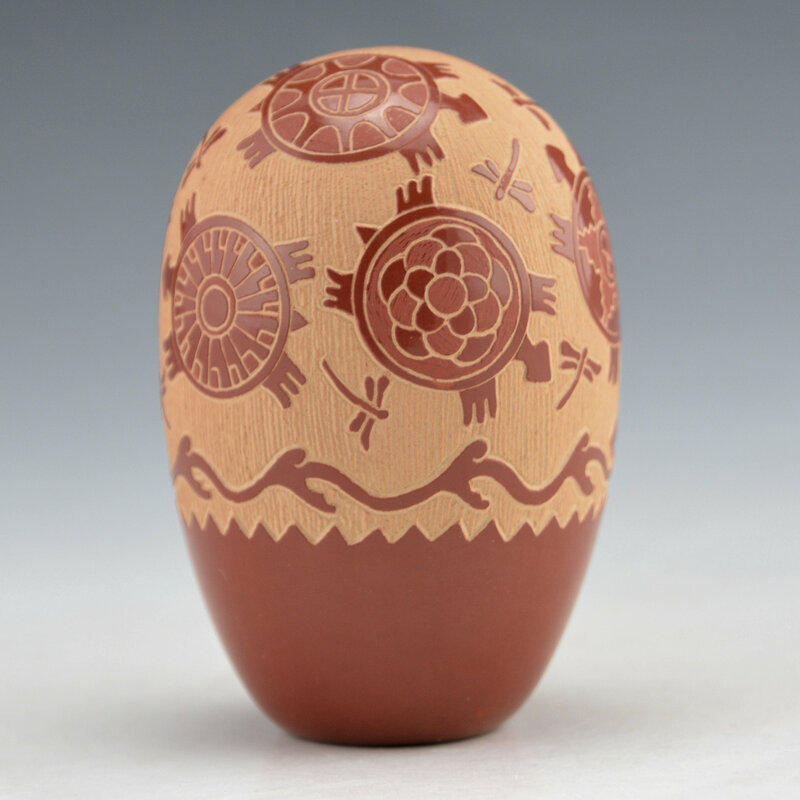 Debra Duwyenie is well known for her wonderful miniatures and incised designs. Each piece is stone polished and then it is etched before it is fired! 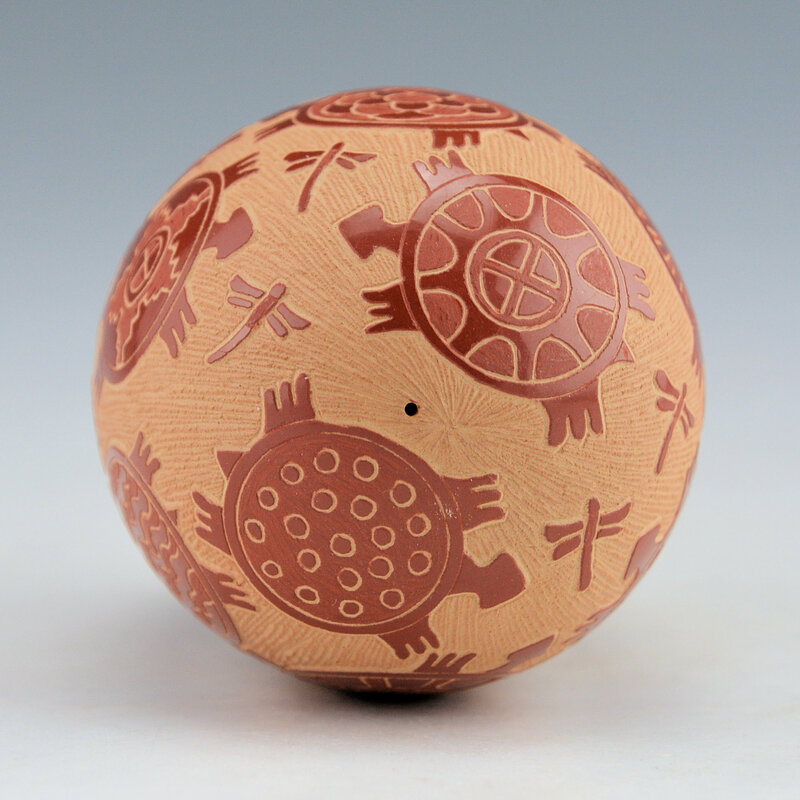 This seedpot has eight turtles as the design. Each of the turtles has a different design on the back. 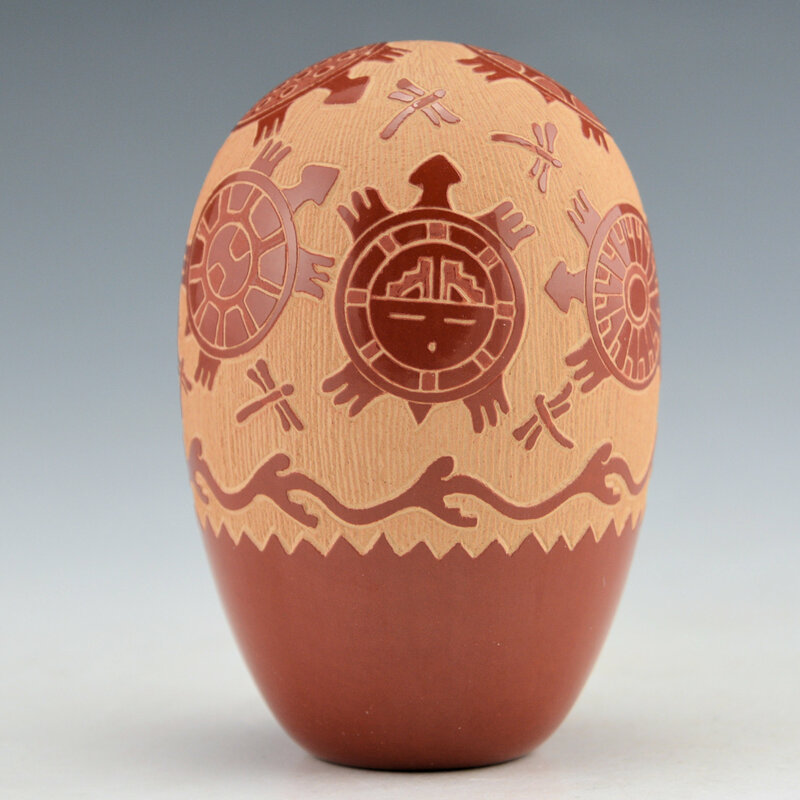 Note the one with the wavy lines, that one is meant to represent Preston Duwyenie, her husband, who is known for his “shifting sand” pottery. There are additional dragonflies and a water serpent at the base of the design. 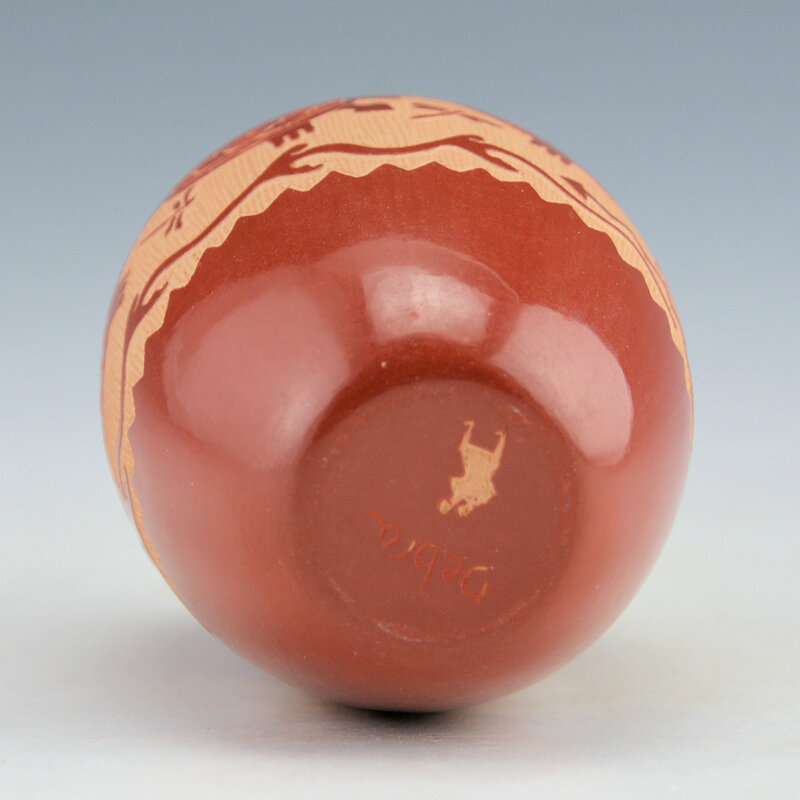 Note that the lighter red matte areas are where Debra has only etched away the polished surface but not down as far as the tan color of the clay. Debra also pays close attention to the little details like the tan background area and how evenly she etches the vertical lines. 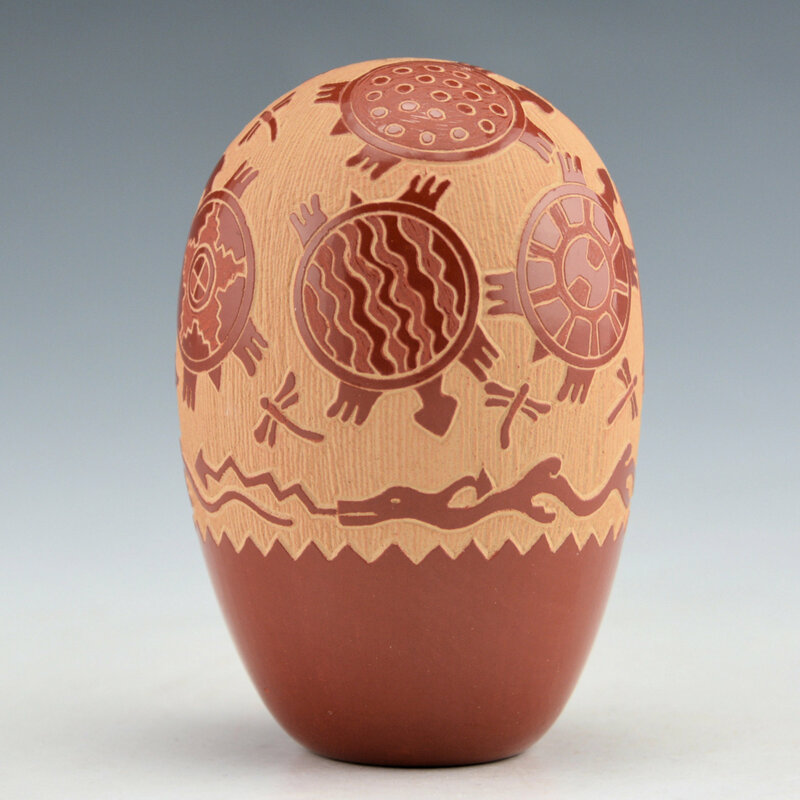 The seedpot is traditionally fired. It is signed on the bottom in the clay with Preston’s hallmark and “Debra”.